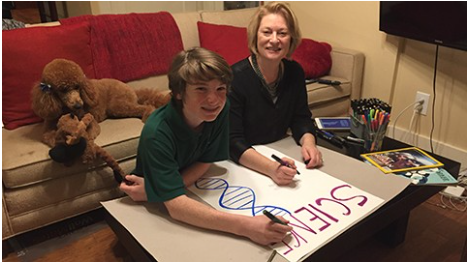 Diane Ferris and her son, Charlie Ferris Weiler were interviewed by the AAAS for their attendance at the March For Science in Washington. She joined the march in support of science while setting an example for her family. Congrats to our newest MCB PhD candidate—Mandy Boontanrart! Congratulations to Mandy Boontanrart! She just passed her Qualifying Exam and became our newest MCB PhD candidate. She was wearing our Corn lab mascot costume in the celebration party. The top UC Berkeley story last year features our postdoctoral fellow Mark Dewitt using the CRISPR-Cas9 gene-editing tool to cure the sickle cell disease. The #1 spot in the Media Highlights: The 10 Essential Stories of 2016. His work was also picked up by dozens of sources, including the Los Angeles Times, Mercury News, Nature, The Scientist, Cosmos Magazine, and GenomeWeb. Roxanne Makasdjian and Stephen McNally produced a video that accompanied the press release and many versions of the story. 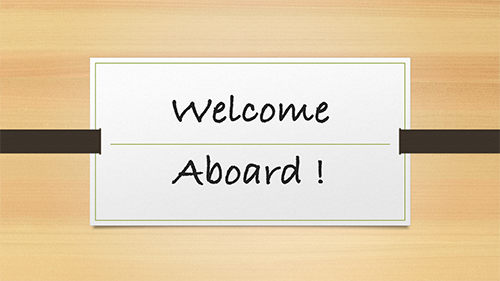 We're delighted to welcome Jonathan to join our lab as a Research Associate. He has been working as a volunteer before and will continue to work with Mark DeWitt in the sickle cell research project. The management and research teams from Intellia Therapeutics came to visit UC Berkeley today. Thomas Barnes, Ph.D., the Senior Vice President of Innovative Sciences & eXtellia, and his teams shared their scientific expertise in CRISPR/Cas9 technology and clinical development experience to the members in Corn lab. Corn Lab post-doc Benjamin Gowen is attending the 2017 Immune Regulation in Autoimmunity and Cancer Keystone Conference in Whistler, British Columbia from March 26-30, 2017. If you’re attending the meeting, you should come by poster #1030 to see his work on the discovery of an autoimmunity-associated IL2RA enhancer. In February, Corn Lab post-doc Benjamin Gowen traveled to Australia to visit collaborators at the Commonwealth Scientific and Industrial Research Organisation and present his research at the 2017 Lorne Genome Conference. His talk was titled “Discovery of an autoimmunity-associated IL2RA enhancer by unbiased targeting of transcriptional activation” and featured work by members of the Corn Lab and Alex Marson’s lab at UCSF. Congratulations to Shaheen for becoming a new mother, Nicolas who just got married and Chris who was recently engaged! All the best to you and your families at this special time! 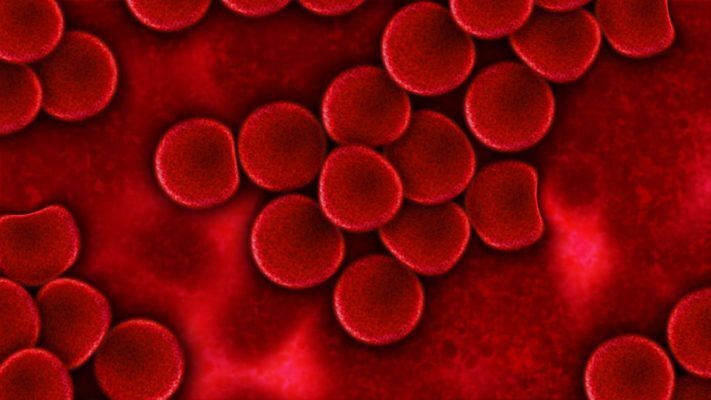 The Corn lab and our collaborators have received a $4 million grant from the California Institute for Regenerative Medicine (CIRM) to develop CRISPR-Cas9 genome engineering into a cure for sickle cell disease (SCD). We are very grateful for CIRM’s support, which enables us to establish clinical protocols for gene surgery to cure sickle cell disease. CRISPR cures for genetic diseases are rapidly approaching the clinic, and our research will lay the groundwork for a clinical trial in SCD. Our clinical approach will involve removing stem cells from the bone marrow of sickle cell patients, editing the mutated DNA code with CRISPR-Cas9, and putting the corrected cells back into the patient, where they can persist and spawn healthy red blood cells. We recently published proof-of-concept sickle gene editing in Science Translational Medicine, and the funding from CIRM will enable us to improve the efficiency of editing, scale up the process, and perform more extensive studies in animals to ensure safety and accuracy before moving into human clinical trials. Mark DeWitt, a postdoc in the lab and first author on the Science Translational Medicine paper, will become the project’s Program Manager, managing research across the three campuses. For a more in-depth perspective, read Jacob’s blog post on deploying gene editing to tackle sickle cell disease.